*Please see below for the Foundation’s definition of ‘What is Jewish Music’ to ensure that the proposed work complies with this definition. recorded and released on the Analekta label. Composers of all nationalities, faiths, backgrounds and affiliations, ages and levels of experience are eligible to submit a proposal for consideration. Eligible composers must prove within the body of their submission the relevancy of their proposed composition to the Prize theme – a celebration of excellence in new Jewish music. Proposed works are to be a minimum of fifteen (15) minutes and a maximum of twenty-five (25) minutes in duration. Proposed works must not exceed sixteen (16) musicians in total. Please note: all documents and media must be submitted electronically via the online application form on or before Sunday May 5, 2019. Selected examples should demonstrate the applicant’s aptitude for writing chamber music for larger forces (i.e. a mixed ensemble of 14-16 musicians) and/or Jewish music. Scores must be submitted in PDF format, audio recordings in MP3 format. MIDI or piano reduction recordings may be submitted where live audio recordings are unavailable. Optional: Submissions may be accompanied by no more than two letters of reference. All letters of reference should be submitted via the Azrieli Music Prizes application portal. participate in outreach events, workshops, press conferences, media interviews and other such promotion and education activities as they relate to the Azrieli Music Prizes and its objectives to educate the general public about the enduring appeal and artistic importance of the works that result from engaging with the topic of Jewish music. Don’t worry about how ‘Jewish’ you are (or are not) before considering a submission to one of the prizes. People from all faiths, backgrounds and affiliations are equally welcome to apply their artistry, creativity and musicality in response to the Prize theme. In fact, one of the Foundation’s hopes for AMP is to generate productive intercultural understandings through a rich consideration of what Jewish music is and can be. Carefully consider the guiding notes in addressing the questions and reflections on what constitutes Jewish music. A successful submission will suggest an interesting, appropriate yet compelling potential response to these questions and reflections in the shape of a musical work. We are calling on composers to extend their own creativity, inquisitiveness and thoughtfulness in seeking out this potential response. It also calls for a deeper, purposeful and conscious consideration of Jewish values and experiences that extend beyond simple representations of Jewish people or subjects, or simple incorporations of Jewish secular, sacred and/or traditional musical materials, depending upon the guideline requirements. A submission package must be conceptually and musically balanced. Strong, wonderful musical examples accompanied by an insubstantial and/or ill-researched proposal or explanatory note will not advance within the competition. The inverse is also true: a strong proposal and/or explanatory note will not compensate for weak musical examples. The two must go hand-in-hand. Please note that the quality of submitted scores and recordings greatly affects the Jury’s ability to evaluate your application. Please be sure that submitted scores are easily legible and that recordings are as clear and undistorted as possible. If the quality of the score or sound is so low that it’s difficult to ascertain the artistic product, this will impact an evaluation. Once received, submissions are first registered and screened by our staff for eligibility and completeness. Submissions are then pre-screened by a small team of staff and Jury members to evaluate their fit and relevancy to Prize themes. Those submissions that clear the pre-screening stage are then delivered as qualified submissions to the respective AMP Jury for their evaluation. The Jury will review and grade the qualified submissions using the following three main criteria: Artistic Merit, Technical Merit and Thematic Fit. These criteria are separately weighted based on their level of importance to arrive at a score out of 100 for each evaluated submission. In the case of the two commissioning prizes, the Jury will also apply a fourth unscored criteria (Capacity), which is important to their deliberations in selecting the best candidate to win each Prize. This is the most important criteria the Jury applies in evaluating each submission. It is directly tied to the composer’s proven ability to write original concert music of high artistic merit. the composer’s capacity to generate high quality, original and professional musical material based on the AMP guidelines for instrumentation and duration. The Jury will evaluate each qualified submission with the aim of identifying how well thought-out it is in regards to its use of rhythm, melody, harmony, timbre, texture, dynamics and orchestration. They will evaluate these elements especially in regards to how well they express or positively reinforce the composer’s purpose and intentions for the proposed or submitted work, and as they relate to the objectives of the Azrieli Music Prizes. 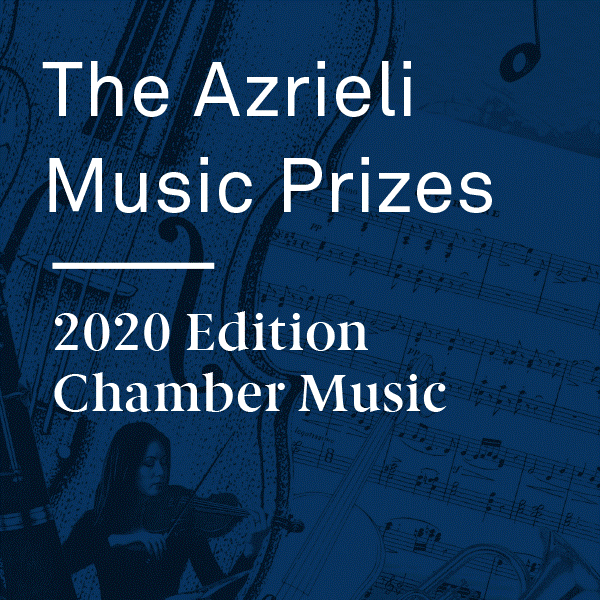 The Jury will evaluate whether the qualified submission offers a topical and original fit to the objectives of the Azrieli Music Prizes based on the approved guidelines of what can constitute Jewish music. The Jury will evaluate the qualified submissions for the candidates’ ability to execute the project as proposed. Given the circumstances of requesting a commission and its premiere performance, can the proposal be realistically ans successfully achieved? Does the composer demonstrate enough previous experience to assure the Jury that they will delivery on their proposal n the time allotted and with high artistic and technical merit? Those proposals for which the Jury can answer these questions in the affirmative will advance in the competition. For the purpose of the Azrieli Music Prizes, the Azrieli Foundation defines ‘Jewish music’ as broadly as possible, taking into account the rich and diverse history of Jewish musical traditions, as well as music by Jews and non-Jews, which may be said to incorporate a Jewish thematic or Jewish musical influence. Jewish themes may vary broadly, and can include biblical, historical, liturgical, secular and/or folk elements. 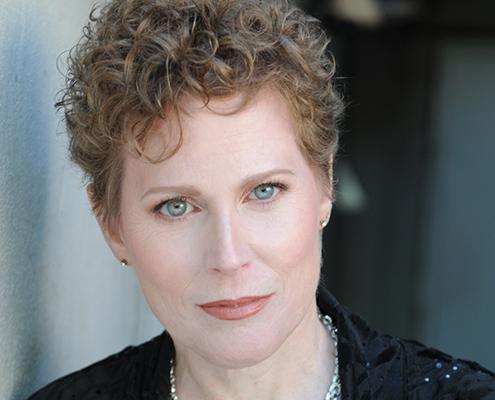 Fundamentally, the Foundation encourages an understanding of Jewish music as deeply rooted in history and tradition, yet forward-moving and dynamic. As such, it encourages themes and content drawn from contemporary Jewish life and experience. have been composed expressly for a Jewish commemoration, celebration, ceremony, or other occasion—conceived in some way to represent the nature of that occasion.